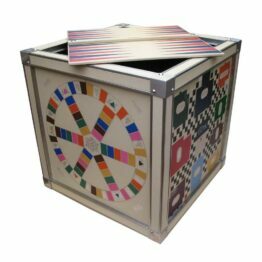 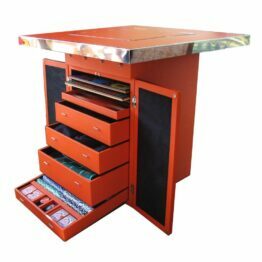 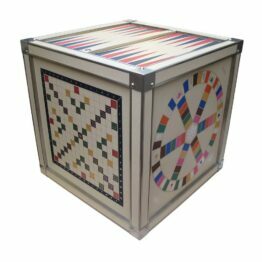 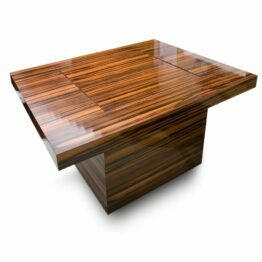 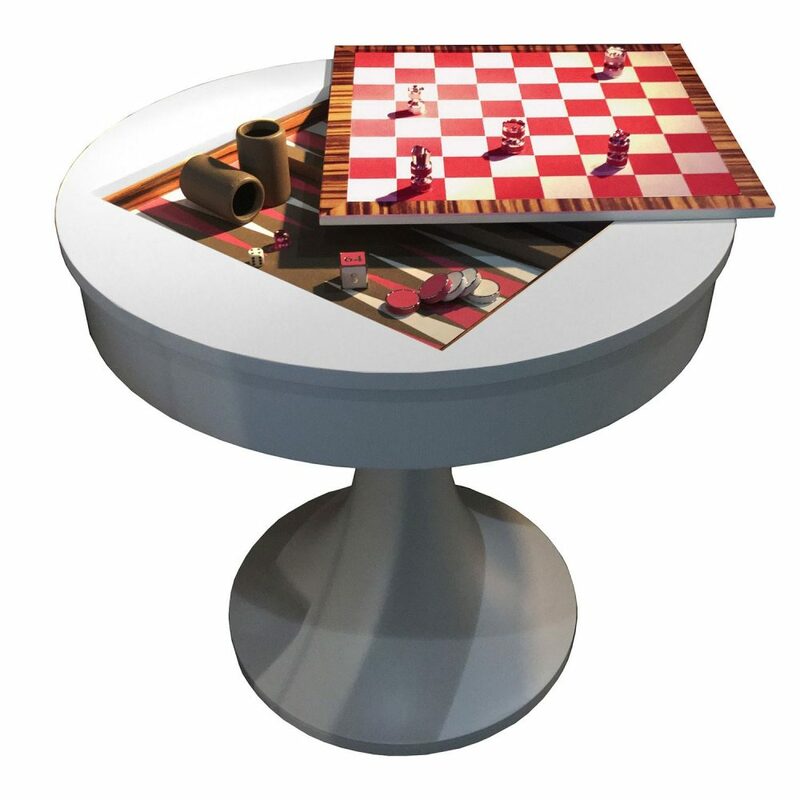 A modern yet retro approach to combining traditional board games into one striking luxury table. 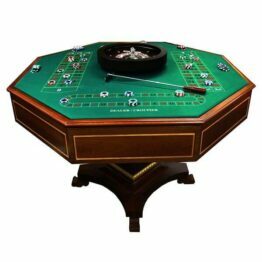 Pass times aren’t quite what they used to be, which is why we’ve thrown in a little nostalgia with our Retro Games Table. 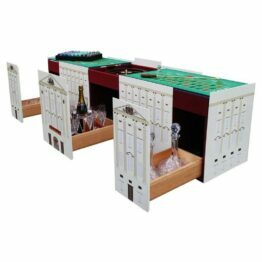 A throwback to when TV’s only came with 4 channels all in black and white. 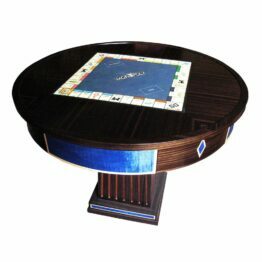 This games table features a splash of colour and fun which was often missing from the TV screen. 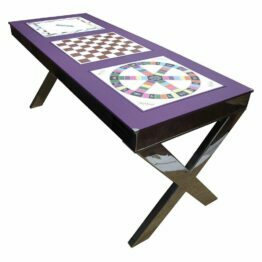 Design your boards with custom colours to create your very own retro game table. 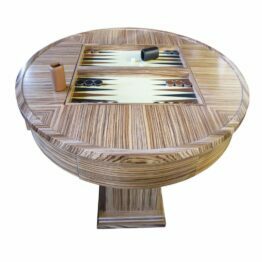 Handmade to order, these tables take around 3-4 months to create. 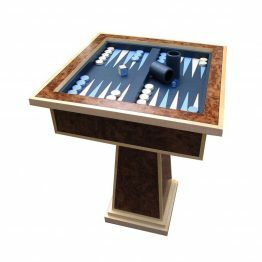 Games have been around for as long as history documents; from boule to backgammon we’ve always enjoyed a bit of light competition. 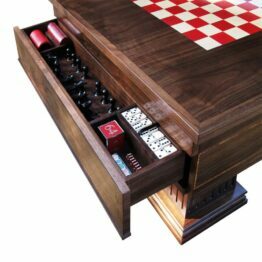 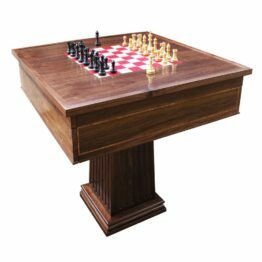 This retro games table features backgammon, Chess & Cards but other games can be added on request.